When I was a little girl we lived in a small town on the Sacramento River in the central valley of California. That was back in the days when kids could safely wander all over town with their friends and parents didn’t worry. Tales of horrific crimes against children were rare. Everybody looked out for everybody, especially everybody’s kids. Even if families weren’t Christian, most of them still adhered to some sort of biblical morality. My mother’s greatest fear for us was the danger of the Sacramento River. We kids were drawn to it like chipmunks to peanuts. We were good swimmers and she feared that we’d think ourselves equal to the powerful currents of the river. I wasn’t stupid. 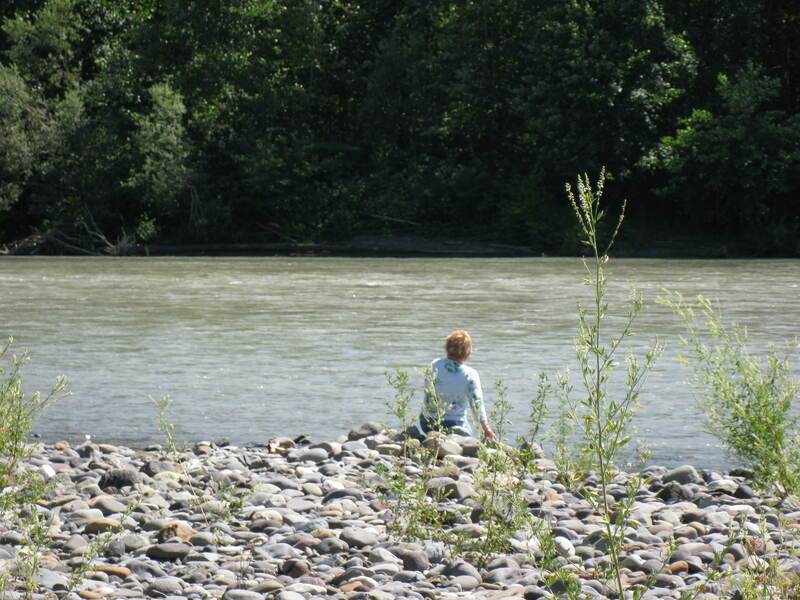 Even as a five or six year old, I could clearly understand that the great river could sweep me away. Of course, her warnings made the river all that more attractive. I’d go down there and stand with my toes just an inch from the water, kind of daring the river to try to catch me. Muscles twitching, adrenaline surging, I’d plunge my bare feet in, then squeal with fright and dash back up the rocky bank. Mother can’t even swim, so of course she’s terrified of the water. Mother is over-warning me, so my fear will keep me safe. Mother doesn’t know how smart I am. How capable a swimmer. Mother wants to keep me from having fun. What Mother doesn’t know won’t hurt her. I have the right to test the waters; Mother doesn’t own me! There’s something in us that wants to challenge our boundaries. To declare ourselves greater than the forces that might sweep us away. But I don’t want to be ruled. I want to be above outside control. I want to be God! Kind of like Adam and Eve, don’t you think? As if I’d have made a better decision if I were given the choice to obey God. Then I recognize, no, I wouldn’t. Because I remember my own foolish choices at the banks of the Sacramento river. And hundreds of other boundaries where I’ve ventured a rebellious, testing toe over the line.